Feng Shui originated in China and has been practiced for over 3,000 years, but what is Feng Shui and how does it work? In Chinese culture, the word Feng means wind and Shui means water, and ancient Chinese were aware of the influences of these two natural elements in their daily living. Wind and water are associated with good health, and over time Feng Shui came to mean good fortune. The ancient art of Feng Shui is the placement of buildings (homes), rooms, furniture and personal belongings creating the most beneficial and harmonious balance within one’s environment. It is all about ‘balance’ and allowing the flow of energy (Chi), and by applying simple but effective Feng Shui techniques and principles, will result in harnessing positive forces of nature and correcting or ‘curing’ negative aspects. These Feng Shui techniques and principles achieve an equilibrium and enhance aspects of one’s life, in the areas of health and wellbeing, relationships, happiness, creativity, abundance and wealth as well as career, study and recognition. No different to any other trade, Feng Shui has its own ‘tools of the trade’. These include the Compass and the Bagua map. Other factors include the theories of the Yin and Yang, as well as the five Feng Shui elements, Fire, Earth, Metal,Water and Wood. By just mastering and applying the basics of Feng Shui will achieve powerful results however, fully understanding Feng Shui, which is a deep and complex craft, can take many years of study. So, whilst ‘what is Feng Shui and how does it work’ seems like a simple question, the answer is much more complex than the overview provided above, but hopefully enough to entice you to consider how simple Feng Shui techniques and principles may enhance your life and that of your loved ones. When you follow the advice of a Feng Shui Consultant, like Susan Skyring, you will be with someone who is trained to create a more harmonious place to live in and to make the world a better place. 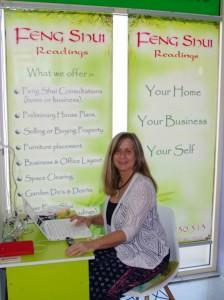 Contact us now for a Feng Shui consultation on Ph 0417 730 313.